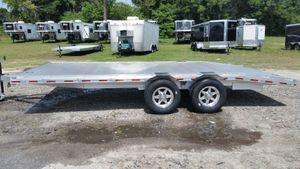 Aluminum Open Deck, & Enclosed Car Haulers. 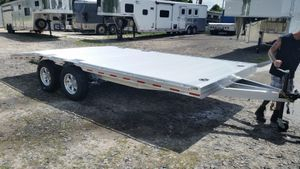 Standard Features of Open Deck Car Haulers..
Two Solid 48" Long x 12" Wide Ramps, Slide in from the rear, and are locking. 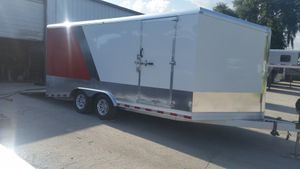 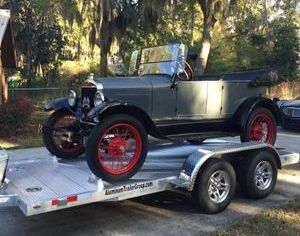 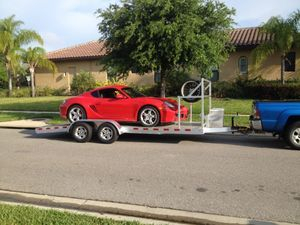 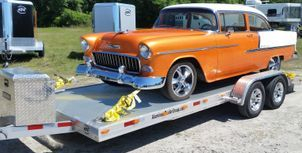 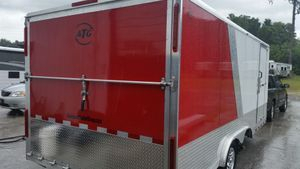 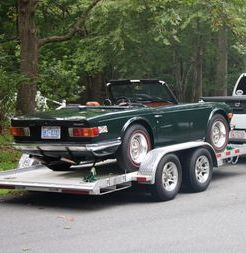 Standard Features of Enclosed Car Haulers.. 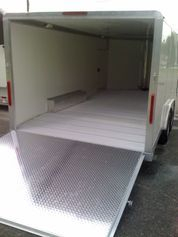 This is our 18' Beavertail, shown with some options.